The ordeal of Greece and Crete was followed by a lengthy period of reorganisation, training and reinforcement in Egypt. From late 1941 to early 1943 the Māori Battalion and the rest of the NZ Division would confront Erwin Rommel's Afrika Korps and Italian forces in the vast North African desert - a harsh environment of extreme temperatures, ferocious sandstorms and swarming flies. 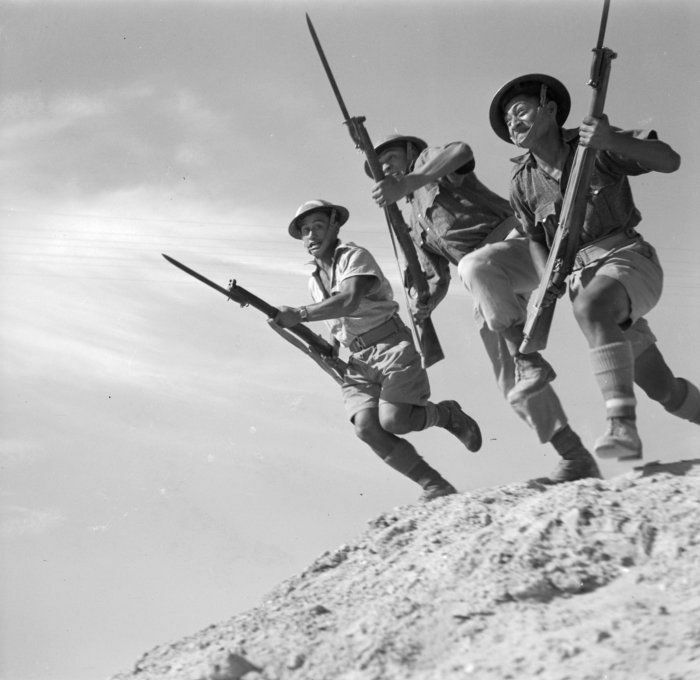 In November 1941 the NZ Division moved west into Libya to take part in Operation Crusader, the British 8th Army's drive to lift the enemy siege of Tobruk. While the 5th Brigade (which included the Māori Battalion) achieved success at Sollum, Bardia and Gazala, capturing a large number of prisoners, Rommel's Panzers overran the Brigade's HQ and mauled the 4th and 6th Brigades at Sidi Rezegh and Belhamed. With his resources exhausted, Rommel then withdrew to the west, handing the Allies a strategic victory. See the November and December 1941 diaries for more detail. After another spell in Egypt, in February 1942 the NZ Division was sent to Syria to counter a possible German invasion of the Middle East through the Soviet Union and Turkey - a threat that never materialised. The men of the Māori Battalion spent their time training and building roads and fortifications. On 15 June the New Zealanders were ordered back to the Western Desert, as a renewed German offensive threatened the defence of Egypt. A month earlier the Battalion had gained its first Māori commander, when Lieutenant-Colonel Eruera (Tiwi) Love succeeded Lt-Col Humphrey Dyer. Rushed back into the line at Minqar Qaim on 26 June 1942, the New Zealanders were soon surrounded by the 21st Panzer Division. Only a desperate breakout saved the day. After smashing through the German lines in a surprise night attack, with Māori bayonets again to the fore, they dashed 160 kms back to the safety of the Alamein Line. For the next three months the battle ebbed and flowed. The Māori Battalion, then in reserve, avoided the disaster that befell the 4th and 5th Brigades at Ruweisat Ridge in July 1942, but its commander, Lt-Col Love, was killed by shelling. Now led by the part-Māori Lt-Col Fred Baker, on 26 August and 3/4 September the Battalion launched successful raids at El Mreir and Munassib, inflicting heavy casualties on the enemy. An obscure railway station called El Alamein was to enter history as the scene of the decisive battle of the desert war. The 8th Army's offensive began on 23 October 1942 with a massive artillery barrage, but Axis forces held firm. A second thrust on 2 November cost the Māori Battalion 100 casualties, including Fred Baker, who was wounded, and his second-in-command, Major Irvine Hart, who was killed later the same day; command now passed to Major Charles Bennett of Te Arawa. When his defences were breached elsewhere, Rommel was forced to withdraw. The desert stalemate turned into a headlong pursuit. On 23 January 1943 the Māori Battalion became the second New Zealand unit to enter Tripoli, 2250 km to the west of El Alamein. On 1 March 1943 the Māori Battalion helped beat off a determined German counter-attack at Medenine in Tunisia. The New Zealanders' next task was a sweeping ‘left hook' inland to seize Tebaga Gap and outflank the enemy's Mareth Line. The Battalion's objectives were Point 209 and a foothill the Māori named Hikurangi. 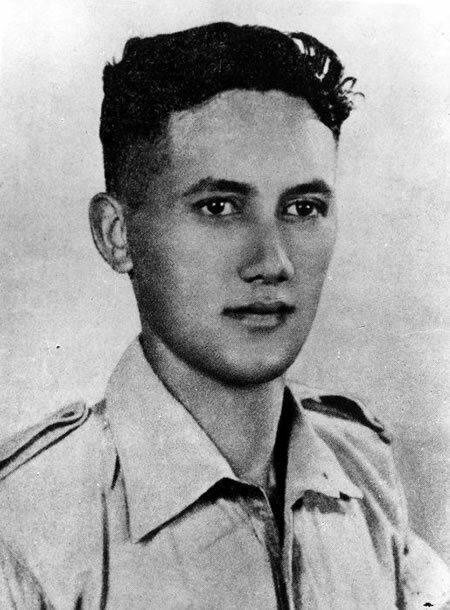 Led by Captain Arapeta (Peter) Awatere, C Company seized the latter on 26 March and held it throughout a night of desperate counter-attacks from Panzer Grenadiers. Point 209 fell the next day, with 231 German prisoners taken. The Māori Battalion had suffered almost 100 casualties, including 22 dead. Among the fallen was 2nd Lieutenant Te Moananui-a-Kiwa Ngārimu, whose inspired leadership would earn him a posthumous Victoria Cross. The name recalls memories of some of the bloodiest hand-to-hand fighting of the desert war. The 200-m-high rock fortress of Takrouna, held by Italian and German troops, blocked the 8th Army's drive towards Tunis. On the night of 19/20 April 1943 a handful of B Company men led by Sergeant Haane Manahi scaled a sheer cliff face to reach the summit. Others followed, and after three days of desperate fighting, Takrouna's defenders were finally overcome. Three hundred prisoners were taken, but the Battalion lost another 116 men killed or wounded. Among them was Lt-Col Bennett, who was wounded by a mine; he was succeeded by Major K. A. (Reta) Keiha. Manahi was awarded the Distinguished Conduct Medal, but many felt he deserved a VC for leading an assault described by a British lieutenant-general as ‘the most gallant feat of arms I witnessed in the course of the war'. On 13 May 1943 Axis resistance in North Africa collapsed, leading to the surrender of 238,000 German and Italian troops. Two days later the New Zealanders began the almost 3000-km trek back to their base in Egypt. Eighteen months of desert warfare had cemented the Māori Battalion's reputation as one of the 8th Army's finest infantry units. But the cost had been high: 270 men dead and 815 wounded.